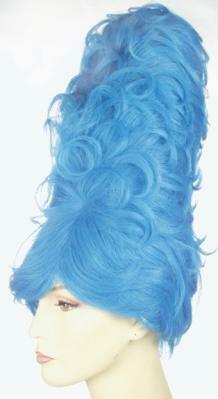 If you are really looking to go all out and over-the-top with your hairstyle for your next costume party, then try the Gigantic Beehive Wig by Lacey. This super tall, fabulous 60s style wig comes in thirteen different colors so you can have fun choosing just the right wig to accentuate your costume. Plus you are sure to be seen coming from a long ways away with this hairdo, and you will surely be the talk of the party.